In September, I wrote about my Link Collection to Various Genealogy & History Resources Online. This collection is my Diigo bookmark library targeted at genealogy. I created a list for each state, as well as a few countries and various topics. 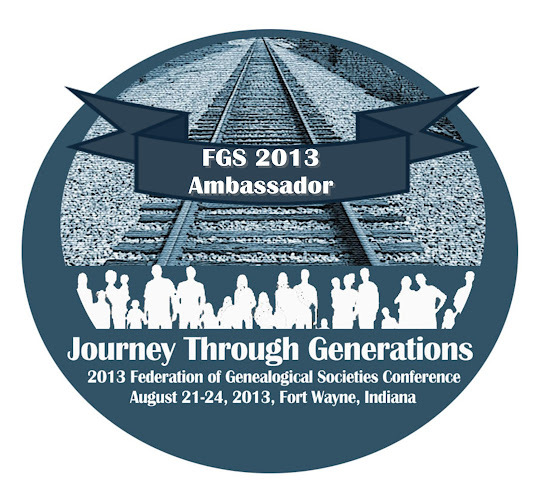 There is also a list for general genealogy resources. Over the next week or so, I will highlight some of these lists. Here are some of the resources from my Illinois Genealogy list. Some are ones I use quite frequently and others are simply unique. Illinois State Archives – Information on the holdings of the Illinois State Archives in Springfield, as well as the Illinois Regional Archives Depositories around the state. Also has several indexes for various resources. Abraham Lincoln Presidential Library – Library has tons of genealogical reference materials, not only for Illinois, but across the county. Also has an extensive newspaper collection of Illinois newspapers. From their website, you can visit the card catalog, see a listing of newspapers (with dates) in their collection, and take advantage of other genealogy tools. Illinois Legacy Online – Site is a little temperamental and you need to download a plug-in in order to view the images. Despite those things, there is some pretty neat stuff in the collection, especially if you're researching Abraham Lincoln. Peoria Historical Society on HistoryPin – The Peoria Historical Society, as of today, has 233 “pins” of historical images on HistoryPin. Archdiocese of Chicago Archives & Records – Information on the record collections held by the Archdiocese of Chicago. Also includes a photo gallery. Illinois Digital Archives – Various digital collections from the Illinois State Library and other Illinois repositories. Includes photos, newspapers, maps, and manuscripts. Journal of the Illinois State Historical Society – Digital copies of the ISHS journal from 1950-2006. Chicago Ancestors – Lots of good information for Chicago research. Includes map of Catholic churches, map of cemeteries, address conversion tools, and much more! Illinois Historical Digitization Projects – These are various digitization projects sponsored by Northern Illinois University. Visit Illinois Genealogy for the entire list of Illinois resources, or visit my library to see my entire collection and other lists. I’m always updating these resources, so be sure to check back regularly. To receive updates to the Illinois Genealogy list, you can subscribe via RSS. You can also subscribe to my entire collection at for updates to all of my lists. Julie, thanks for the helpful list. Looks like there are some specific links I'll be following up on. Since you mentioned Diigo, I wanted to mention that I just was introduced to that site via a blog for teachers that I read today. Never heard of it before. It would be interesting to hear your take on using it, and your results. It sounds like a great utility. The first link in this post is to a post I wrote last month that does talk more about how I use Diigo and some of the special features. Hope this helps!